Please take a moment NOW to contact your federal elected officials and tell them you oppose the bill unless that clause is eliminated from it. This bill amends the Federal Lands Recreation Enhancement Act to specify the circumstances in which the Department of the Interior and the Department of Agriculture (USDA) may: (1) issue special recreation permits for federal recreational lands and waters, and (2) charge a special recreation permit fee for them. Interior and USDA may issue special recreation permits: for specialized individual and group use of federal facilities and federal recreational lands and waters; to recreation service providers who conduct outfitting, guiding, and other recreation services on federal recreational lands and waters; and to recreation service providers who conduct recreation or competitive events, which may involve incidental sales on federal recreational lands and waters. Interior and USDA shall issue joint permits for the use of lands managed by the Forest Service and the Bureau of Land Management (BLM). 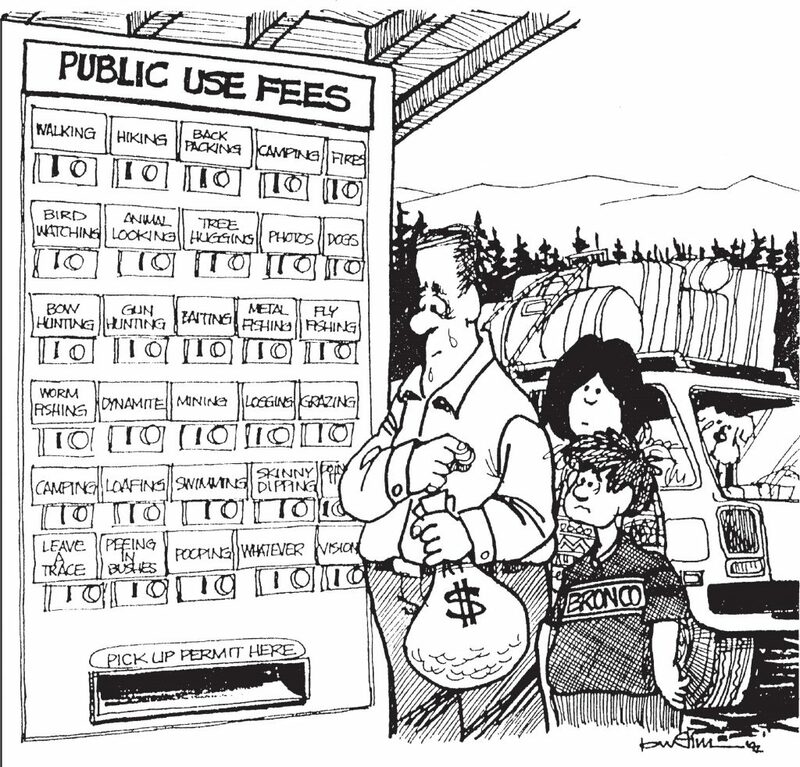 Interior shall publish guidelines for establishing recreation permit fees. Revenues from special recreation permits issued to recreation service providers shall be used to: (1) offset partially Interior’s direct cost of administering permits, and (2) improve and streamline the permitting process. When reviewing and adjusting allocations for the use of priority use permits for special uses of federal recreational lands and water managed by the Forest Service USDA shall allocate to the permit holder a prescribed amount subject to a cap. USDA and Interior shall implement a program that authorizes temporary permits for new recreational uses of federal recreational lands and waters managed by the Forest Service or the BLM, respectively. A permit holder prohibited by a state from indemnifying the federal government shall be considered to be in compliance with Interior and USDA indemnification requirements if the permit holder carries the required minimum amount of liability insurance coverage or is self-insured for the same minimum amount. Interior and USDA shall revise certain: special land use and special recreation permit regulations to streamline the processes for the issuance and renewal of outfitter and guide special use permits, and cost recovery fee regulations to reduce costs and minimize the burden of cost recovery on small businesses and adverse impacts of cost recovery on jobs in the outfitting and guiding industry and on rural economies. If a holder of a special use permit for outfitting and guiding that authorizes priority use has requested renewal of the permit, USDA may grant one or more exiting permit extensions for additional items for up to five years altogether, as necessary to allow completion of the renewal process and avoid the interruption of services under the permit. It’s essential that members of the House and Senate hear from their constituents before this bill goes any further toward being enacted. The part of Section 2 that treats general access by individuals and families as a “specialized use” must be removed.